Pretty early in life I contracted a heavy dose of what I call “The Popeye Syndrome”. You know what I mean. The whole “I am what I am” deal. This is me. Accept me or don’t. As far back as I can remember people have been trying their best to set me straight. A lot of tears have been shed, a lot of prayers offered up. In fact, here’s a particularly telling picture of me during an intervention, with family members holding me down and begging me to listen to reason. My family, trying to point me toward the straight and narrow. I’ve always wanted to write the same way I’ve lived my life, with my inner self held in total isolation, not thinking about whether people will like it or whether it will make money. My thoughts are my own. It is what it is. Cue Jimi Hendrix here and picture some crazy guy flyin’ his freak flag high… high… high. But when I started this blog I started running into a lot of other writers, some of them with a good education and solid publishing experience under their belts. People who knew what they were doing. They wrote about three-act structure, conflict and resolution, outlines and plotting, and the most bitter pill of all… editing. I tried my best to ignore all this good advice, of course, but somewhere along the line a strange thing happened. What they were writing about started to make sense. Stuff started to rub off on me. Lo and Behold… cue Handel’s Messiah here… I began to listen. So… I stepped back from work on my next book and started reading… Plot & Structure… Beginnings, Middles & Ends… STORY STRUCTURE architect… The Hero With A Thousand Faces. Right now I’m working my way through these and poring over everything I can come across that has anything to do with writing as a craft. I’m paying attention, and taking copious notes on what others say and do. In fact, here’s a picture my wife took just today. It’s me getting ready to down another full can of the stuff that makes great writing. Me, getting ready to take my medicine. Of course, what isn’t in that picture is the bag of salt that’s hidden off to the side. You see, I don’t take what others say with just a grain of salt. I pour it on pretty heavy. In the end, you know… I am what I am. I recommend Anne Lamott’s Bird by Bird, which is hugely informative and well written. Good post! Thanks. For the compliment, and the reference. Joseph Campbell may be the best resource for writers – unintended consequences. Thanks, Julia. I’ll look him up. Love the Popeye theme! Nice! And I never go swimmin’ with bow-legged women. ;-P Thanks for dropping by, Britt. I agree. Learn from the masters, but you definitely don’t have to imitate them. Writing is like any other art; it allows you to be yourself. It is a craft, but my ego keeps telling me that it’s more than just good craftsmanship. Trying to learn, following people like yourself. I’m still trying to learn, and gawd there’s a lot to learn. Look at you … going over to the dark side. 🙂 I must admit, I may not be too far behind you, but I’m coming along kicking and screaming – sometimes thumbing my nose at the best of them. When my thick-headedness gives way, I’ll be better for it. But, like you, I hope to always be myself. The dark side. I’m gonna tell Robin!!!! Right now I gotta run out and get some more salt before the store closes. Waaaggghhhh!!!!! Life is a paradox. Individuality? Or Indiviualism? And, who are you writing for anyway? If you’re writing for yourself you can do as you like.If you’re writing for others you must play by the rules. Your choice. 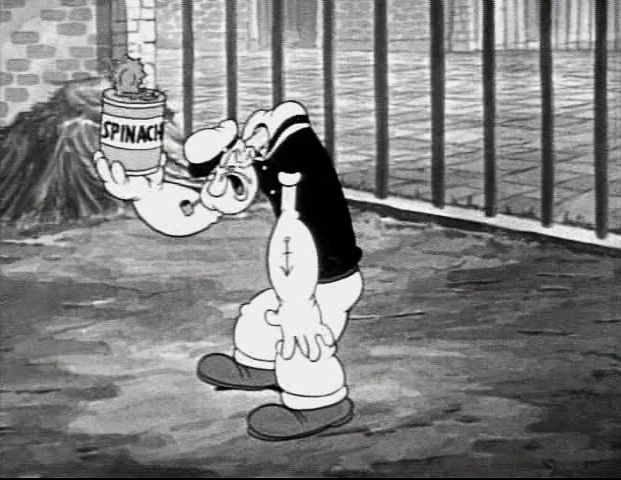 What happens if you forget the spinach and just concentrate on the salt? I’ve not seen Popeye since I was a child but I thought he loved spinach – you’re saying it’s medicine?Have I got the whole relationship wrong? I suspect you’re taking my ramblings too seriously, or at least more seriously than I take them. In any case, an asinine guy like myself doesn’t always fully appreciate what’s good for him. Loved the post! My favorite book in that regard is On Writing by Stephen King – have you read that one? Cool post! Thanks for liking my tips on how to get the most out of WordPress. really appreciate you popping over to my blog. Good luck with your writing and good on you for being true to yourself. So glad you liked it. I had fun with it. I’m pretty mule-headed, but have been studying the craft and tweeking things. Yay, a guy who isn’t gonaa end up sounding like everybody else-hopefully-salt please. Ahh, yes, a writer’s dilemma. Just use our own ‘instincts’ and natural ability to write stories? Or follow the ‘rules’ and use structure. There is a happy medium, but it takes a while to find it. I love Lamott’s Bird by Bird, but my first writing ‘bible’ is Natalie Goldberg’s “Writing Down the Bones.” A great, inspiring small book to keep your creative juices running with just a tinge of structure. I have “Bird by Bird”, but haven’t read it yet. “Writing Down the Bones” I’ll have to get. Making a note. Thanks for the input. I can use all the help I can get. 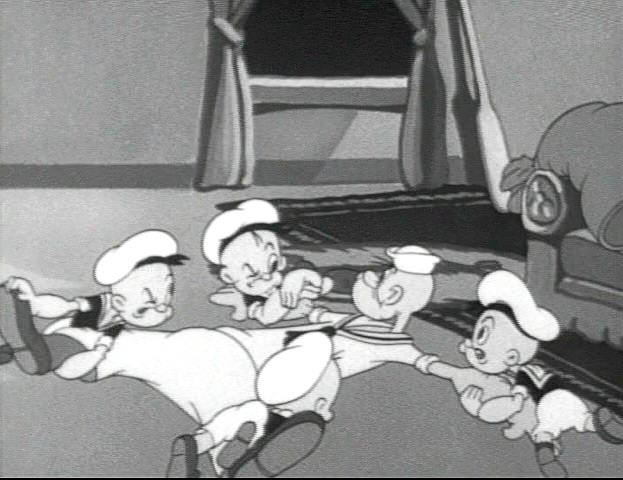 And, yes, Popeye. He was a big influence on a character of mine, who I could definitely imagine saying, “I yam what I am an’ tha’s all what I yam.” Like Popeye, she is very strong, but she doesn’t like to use her strength unless she’s pushed (“I’ve had all I can stands, I can’t stands no more!”). 🙂 Sounds good, man. I’ll be watching.